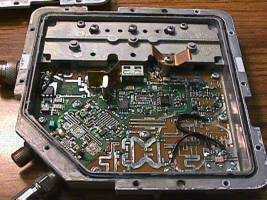 The receiver converter is based around a surplus California Amplifier MMDS (2.6 - 2.7 GHz) downconverter. The downconverter will remain mostly intact, with the current local oscillator of 2.278 GHz, but the input RF bandpass filter and the IF amplifier stages will be removed. 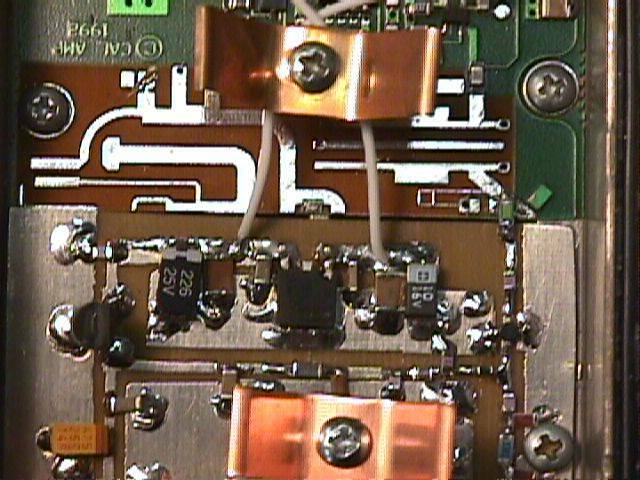 Two new 2.45 GHz bandpass filters were added in front of the input GaAsFET and before the diode mixer. 2.4 GHz receiver converter block diagram. 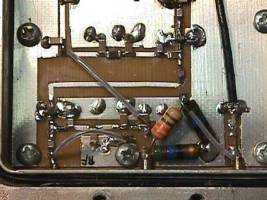 A 2.422 GHz signal will be converted to 144 MHz. 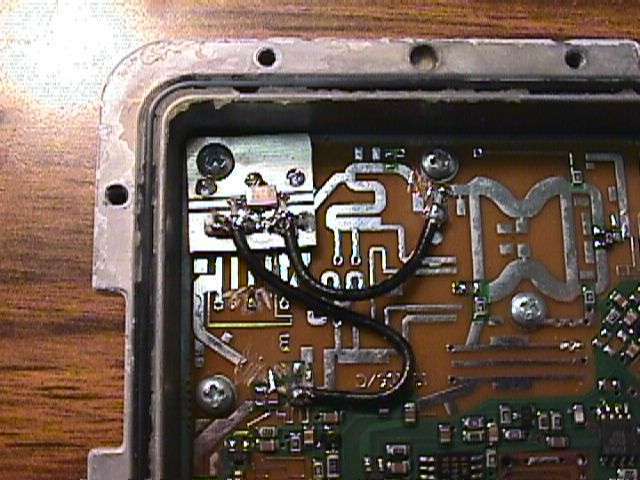 2.4 GHz RF input on the left side. The original bandpass filter is removed and jumpered. GaAsFET front end. 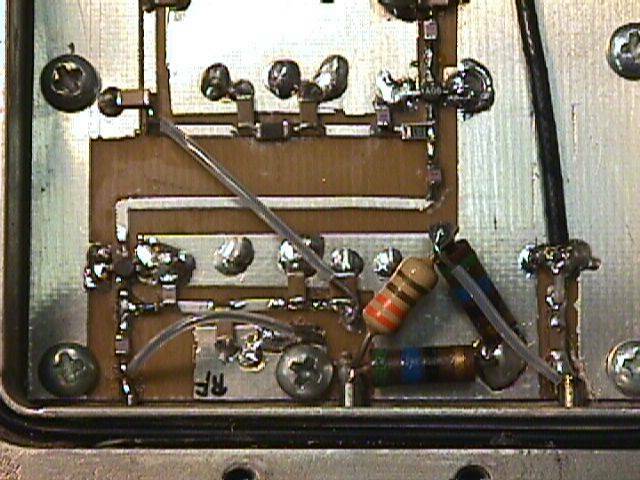 I added the little Murata 2.4 - 2.5 GHz bandpass filter. 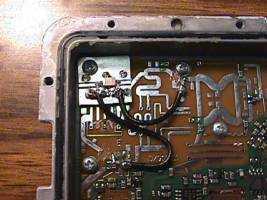 It was removed from an old 802.11b wireless LAN card that was struck by lightning. Also added was the DC blocking capacitor as the input/output ports of the bandpass filter are grounded. The original 2.5 - 2.7 GHz stripline bandpass filter ahead of the diode mixer is isolated and replaced with another Murata 2.4 - 2.5 GHz bandpass filter. 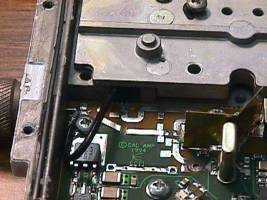 The diode mixer is on the right side. 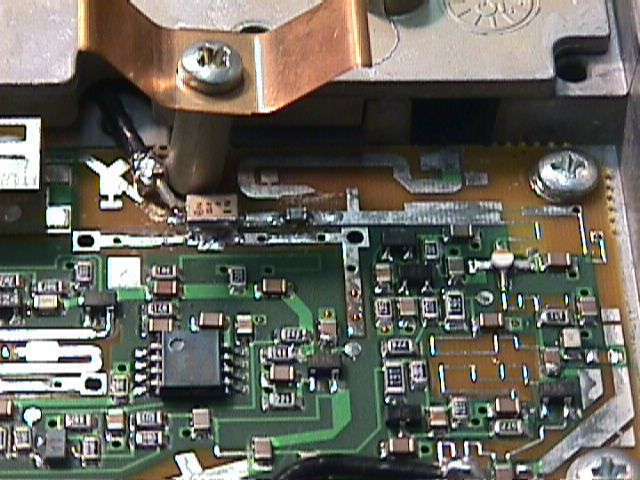 I tap the diode output directly through a 1000 pF capacitor, nothing more. Let the IF rig do the filter/amplification. 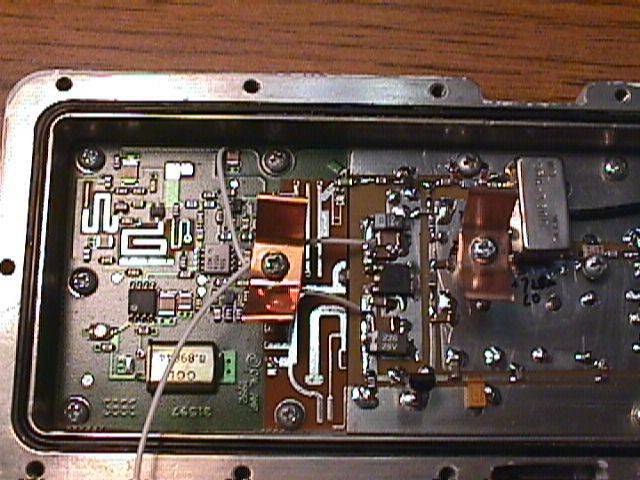 The 2.4 GHz transmit side is a little more complicated. The local oscillator is again from an old MMDS downconverter (2.278 GHz, PLL locked). 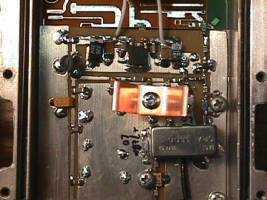 It is then amplified and fed into a Mini-Circuits SRA-3500 mixer. The RF output of that mixer is then filtered and amplified more. 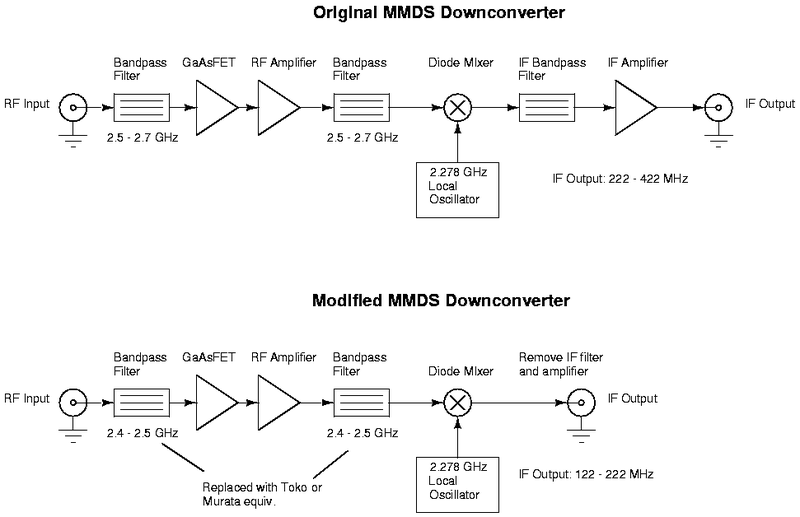 2.4 GHz transmit converter block diagram and schematic. 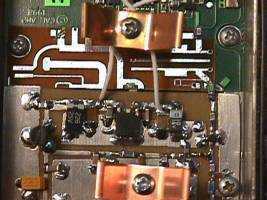 A 144 MHz signal will be converted to 2.422 GHz. 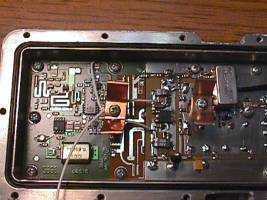 2.4 GHz RF output amplifier is on the left side, IF input and attenuation is on the right side. Voltage regulators and DC filtering and the local oscillator amplifier into the Mini-Circuits mixer. Closeup of the local oscillator input to the mixer.